Clients who come through Divorce Angels will receive a one hour FREE initial consultation with no obligation. All Divorce Angels clients will receive a $500 deduction from the final memorandum. Edit is the Sole Proprietor of Collaborative Mediation. 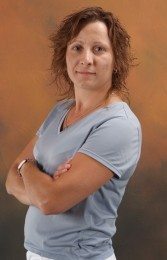 She is an Accredited Mediator (AccFM) with the Ontario Association for Family Mediation and a Qualified Mediator (Q.Med) with the Alternative Dispute Resolution Institute of Ontario. After completing her Mediation certification, she obtained her Level II Collaborative Practice Training which focuses on keeping negotiations amicable. She is also an active member of a multidisciplinary collaborative practice group which reviews legal and mediation literature cases to remain on the forefront of new approaches and practices. Edit has over 15 years professional experience and has a diverse background which includes advocacy, counselling and collaboration with families, youth and children. She is passionate about mediation and knows that this process is the best possible alternative to litigation as it gives each person a voice and the power to shape their future. Edit helps ex-spouses create fair and viable agreements which are mutually cooperative and amicable, to ensure that the needs of each member of the family are met and that the primary focus and that the primary focus is on the best interest of the child(ren). "Collaborative Mediation is the Art of a Peaceful Separation"
Edit understands that the loss of a marriage is not only difficult but also very confusing and often emotionally charged. Knowing that the majority of people who are struggling with separation do not know where to turn, who to trust and where to start, Edit offers information sessions six times per year. These have been successful forums for those who require additioanl information prior to moving forward with their separation choices. Throughout the mediation process, Edit facilitates a conversation to increase communication and enhance cooperation, ensuring that all individuals are heard. She understands the varying dynamics of the separation process. Edit's calm, caring and non-judgemental demeanor helps individuals heal to start the next chapter of their lives. Edit is extremely detailed oriented with the memorandum agreements that she achieves with her clients that takes all aspects of the separation agreement, including parenting schedules and responsibilities into consideration. This ensures clarity of roles and obligations and helps to avoid future conflicts. Edit's skillful approach has helped families make joint decisions. Her patience helps to guide the individuals into creating detailed memorandums, and to be better prepared to continue their shared responsibilities. With each individual having a different perspective, Edit is able to manage expectations with sensitivity. Her calming approach and expertise helps to bring clients experiencing contentious and complex issues to an agreement.